Talk about a U-turn. This must be my week. 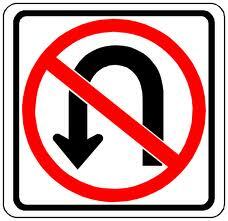 Here I am facing that U-turn again, and I need to find a way to work myself out of it. 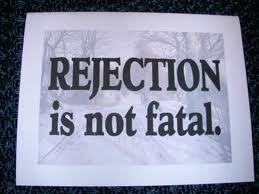 It is so easy to get in the rejection doldrums. Any little thing can set it off â€“ an unreturned telephone call or email, someone saying theyâ€™ll do something and they donâ€™t, and of course that actual dreaded rejection letter. Iâ€™m sure most of my creative readers know what that dreaded word is about it. Youâ€™ve probably experienced it. I know I have. I actually got sixty-eight rejections (by actual letter or by silence) before I got a publishing contract for my memoir, Leaving the Hall Light On. So I thought I was immune to it. Turns out Iâ€™m not. Rejection hurts. In the last month my work has received two rejection emails. And since these rejections were from anthologies Iâ€™ve been featured in before, my first reaction was Whoa, what am I doing wrong here? I better stop and rethink my course of action. Did I just say Iâ€™m taking a U-turn? I think so. Getting rejected from a stranger is bad enough, but getting rejected from folks I already have a relationship with hurts all the more. Up until the second rejection arrived yesterday I had been planning to submit to a couple of poetry contests. Now Iâ€™ve decided not to rush into those submittals. Iâ€™m going to take my time, do a little more organizing and editing, and maybe â€“ just maybe â€“ submit when the hurt has died down. In the meantime, Iâ€™ll take a few deep breaths and keep writing. What else do I have to do? Thanks as always for your kind words, Dody. I love the expression willy-nilly – I use it all the time when speaking, not writing. I’ll check out Sonia. It certainly can’t hurt. I think we all have to pause once in a while before taking big leeps. I like that you are validating my pause and sharing it. Thank you for being my soul-mate and good friend. Hi Madeline. Rejection of any kind is difficult to deal with. I read Leaving the Hall Light On in one sitting – for me that makes the sixty-eight rejections unfathomable. I am thinking you could have kept on re-working and editing that book and in many ways that may have been a tragedy – the changes to satisfy others may have dimished the pure intent of the writing. I know I am very naive when it comes to the ‘real’ writing world – I just reckon we need to be true to ourselves and the words will look after themselves. Very best wishes. Jeff. Thanks, Jeff, for your validation of my work. I feel as you do. We must be true to ourselves and our words. I was fortunate to find the right publisher who also believed that. It was worth all the rejections. When I think about sending my own WIP out to agents/publishers, I sense the dread of “what if I can’t find anyone to publish it?” But yet I know today there are other options. I guess this is a long way of coming to this point: so many (and I know this because of being a publisher as well) rejections have NOTHING to do with the quality of the writer’s work. Nothing. Really. Nothing at all. Writers never seem to believe that, but it is the truth. Publishers face all sorts of limitations about which writers are completely unaware. They, the publishers, cannot share these insights or reasons, for legal or ethical or personal reasons. But know it is trueâ€¦ I’d say at least 50% of the time a rejection has nothing to do with the writer or the writing. No scientific basis for this, but it is my best guess. Just keep doing your best, and working the numbers so, like in sales, the odds of getting a “yes” increase.